A Beautifully Illustrated & Easy -To- Read Book For Kids To Teach Them Why They Must Always Communicate Their Concerns With Mom & Dad! Meet Sammy, a happy kid who loves to talk , laugh, and play with his dog Spark! He is always vibrant, happy, and ever ready to smile. When he walks into his home looking very sad; his mom knows that something is terribly wrong. Despite all her efforts to cheer him up and get him to share his troubles with her; Sammy remains silent, sad, and burst into tears. Why is Sammy so upset? What has Sammy got on his mind? How can his mom and dad help him when they can’t discover what’s wrong because Sammy won’t speak? By creating an illustrated story, and characters that your child can relate to, and using it as an example. 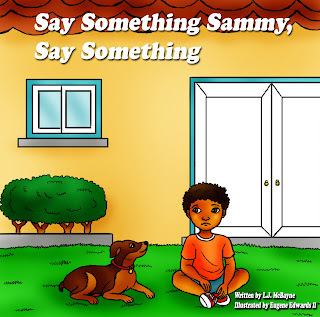 This book instills the lesson of why sharing concerns, and problems with parents is very important. Just click “Buy Now” and help your child learn a valuable lesson the easy way!